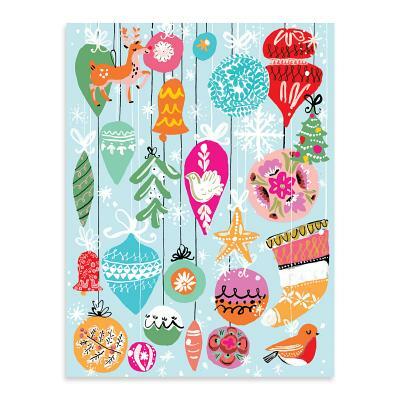 Send colorful holiday greetings with Galison's Twinkle and Shine Embellished Notecards. Ornaments of all shapes and sizes sparkle with glitter on this oversized card. Inside message reads "Wishing you a bright and joyful Christmas".